Every girl loves a good chick lit now and then. The best ones are the kinds that not only entertain, but also make you think and bring some perspective into your life. "Let Them Eat Cake" does all of that! I didn't love heroine Lexi right away, I admit. There weren't a lot of points at the beginning on which I could relate to her. My pastor and I were having a conversation after church on Sunday, and he reminded me that we are all human and we need to let ourselves be human. That's hard for me. I also think some people give themselves too much license to be human, and that seemed to be where Lexi was coming from. Through her own faults and disproportionate expectations, she couldn't hold on to a job and did not have a great grasp on reality. It took me a very long time to read this book because I was so fed up with Lexi, and I would only read a few minutes here and there. Then things changed. Lexi decided to take the keys to her own life, reconnect with God, and find her place in His community. She had a real heart for reaching others and stopped living just for herself. She began listening to the Holy Spirit and reading her Bible, and it not only changed her, it changed the whole way I was reading the book. Her honest, halting efforts are all that any of us have to offer the Lord, really. It was refreshing to see her journey. Other things I liked: Her friends and her love interest weren't the obvious choices. The decisions she was making by the end were ones that took her completely by surprise, showing her growth. If I have a chance to read the second book in this series, I will definitely pick it up! Life doesn't have to be perfect. Books don't have to be perfect. People don't have to be perfect. And that is beautiful. When I gave a disappointed review of Elizabeth Camden's debut novel, I promised not to judge any further releases on the merit of that one alone. The author has gone on to publish three more novels, and I decided to give one a try. Would I alter my opinion with a further sample of her writing talent? Our main character in this story, Libby Sawyer, has struggled with dyslexia and even as an adult cannot read. This has left her feeling inadequate as a person and withdrawn from society. She spends her time drawing up plans for her professor father's many inventions and playing with her young niece. 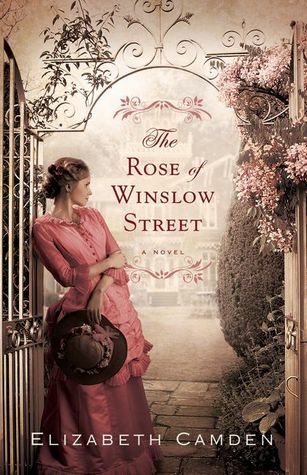 She and her father are spending a summer at her brother's house when they receive word that a group of Romanian immigrants have moved into their house on Winslow Street, claiming rightful ownership by inheritance from the previous owner, who is long deceased. Libby and her father are outraged and begin seeking legal counsel on how to evict the meddling ragtag group from their home. Michael Dobrescu has led this group of four adults and two children to America to claim the house his uncle left to him. Multiple tragedies forced them to flee their home country. He's convinced that once the proper authorities look into his documentation that they will be allowed to keep the house, especially since they are already occupying it. Although Libby wants to see everything that her father has worked for restored to him, she also has compassion on these people who have nothing. She begins bringing care packages of food, and soon friendship blossoms. When Michael needs her help to procure something that will assist his family financially, his appreciation for her makes Libby feel whole and accepted like no one else has before. But how can they have a relationship with this house situation in between them? Who will the courts side with, and how will the other survive? The premise of this novel is not bad. Unfortunately, though, the writing style made it hard to enjoy. You've heard of the writing adage "Show, don't tell"? Elizabeth Camden is very fond of telling, and in quite annoying ways. She beats you over the head with heavy descriptive phrases like "more powerful than a barrel of nitroglycerine." There's quite a bit of narrative hyperbole, such as when Libby believes she knows "the location of each loose cobblestone in the street." Every one, eh? The way Michael and Libby think about each other pushes the boundaries of that which is acceptable in Christian fiction, making me uncomfortable as a reader. The plot twists were often contrived, and the most obvious case of a writer not understanding and properly following through on a plot line occurred later in the story. The person currently living in the Winslow Street house discovers that there is an extra fireplace which has been boarded up and covered in shelves in the library, and he believes it necessary to completely remove that fireplace and chimney from the house. Just after removing it, he seeks to find additional ways to heat the house because they will be lacking now that they have one less fireplace. How would removing something you never used and were in fact completely unaware of in past winters change the way you heated a house in the present? This made no sense and was quite a glaring error. I wanted to like this book and to be able to revise my opinion about the author. I am sad to report that although this story had its moments, it did not allow me to do either. My love for classic literature started at a very young age and has never abated. Although now I read a lot of current Christian fiction, the classics will always be one of my first loves. For all of that, I'd never before read this famous Dickens story! I'd seen multiple screen versions or live performances, and was of course familiar with the story, but there's nothing like picking it up and reading it for oneself. This is a short novel, with only five chapters. It's the story of Ebeneezer Scrooge, a man of business and means who has no need for niceties or warm feelings. He lives a very solitary life, and is feared more than respected by his relatives and clerk. He's stern of speech and countenance. On one cold Christmas Eve, Scrooge treks home and is visited by his long-dead partner, Jacob Marley. The spirit wears a great chain, weighed down by many sorrows which he says are of his own making. Wishing for Scrooge to amend his ways while there is still time for him, Marley warns that he will soon be visited by three ghosts: the ghosts of Christmases Past, Present, and Yet to Come. As Scrooge journeys with each spirit, he is reminded of his younger self and the decisions that he made to become who he is now. He sees the harsh reality of how others view him. He sees the bleak and lonely end awaiting him if he continues on his present course. Along with revelations about himself, he is able to see how he might truly be able to be a help and encouragement to others in their times of need. Happy is Scrooge when he awakens on Christmas morning, and he immediately sets about righting the wrongs in his life. His transformation could not be more of a surprise to his family or his employee. Thanks for the turnaround, Scrooge is able to make a real difference with those around him. No longer living only for himself, he's now someone bent on celebrating the true meaning of Christmas all year long. I loved finally reading this, and I'm sure there will be repeated readings in my own Christmases yet to come! Stories set in England's Regency period are a special favorite of mine, thanks to a love for all things related to Jane Austen. As mentioned when reviewing Kaye Dacus's contemporary novel, my interest in her books was sparked by the fact that she is also a huge Austen fan and British drama nut. She'd fit right in with my circle of friends! "Ransome's Honor" opens on the night Julia Witherington believes William Ransome is going to ask her to be his wife. When the charming Lieutenant Ransome decides he cannot propose without first making his fortune in the navy, Julia is left devastated. Fast-forward twelve years, and Julia is now nearing 30 and has returned to England after spending most of the intervening years on her father's sugar plantation in Jamaica. Integrating back into Portsmouth society as a spinster is difficult enough, but when William Ransome comes back into the picture, now a wealthy Captain, it makes life all the more challenging. Julia's aunt is a scheming woman whose estate has nearly been lost to the gambling debts her dissolute son has garnered. Determined that Julia's forthcoming fortune will save her home and redeem her son's reputation, she begins pushing her son to pursue his cousin. Luckily for Julia, Sir Drake is a weasily fellow not able to fool her with his obliging airs. Unfortunately, she doesn't see the depth of her aunt's wiley purpose in seeing that the marriage does indeed take place. When William Ransome turned his back on Julia Witherington twelve years ago, he also set his sights on remaining single for the rest of his life. But when Julia is in desperate need of a friend and even protection, he finds he is willing to do whatever it takes to assure her safety, even at personal cost to himself. Mixed in with the main storyline are themes which will no doubt be continued in the following two books of this trilogy, such as the mystery hinted about with William's sister. This book held a steady pace throughout and I had a hard time putting it down. I look forward to reading more in this series when I have the chance! Ever since I heard that Cindy Woodsmall wrote a book about a cake decorator, I've been wanting to read it. I love cake decorating! 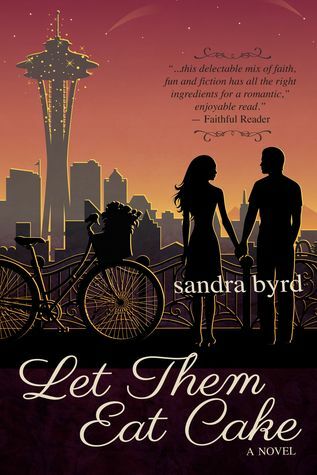 So I jumped when I had the chance to review this novella collection which happened to feature said story. I don't read a lot of novellas on general principle, as I'm a fan of fully developed plots and nearly all novellas I've read feature very simple ones. But I must say that these were extremely well-done and did not disappoint in the slightest! Beth heal. When Beth finds out that Jonah isn't the grandfatherly man she had pictured, she must choose between reacting and retreating further inside herself, or opening her heart to truth, healing, and love. We meet cake decorator Mattie in "The Christmas Singing." Mattie runs a bake shop and has a serious boyfriend in Ohio, where she had moved to escape the pain of another boyfriend's jilting her a few years before. 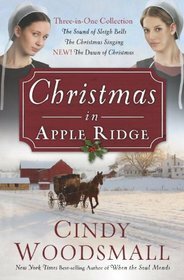 But when disaster strikes and Mattie must move back to her parents' house in Apple Ridge for a few weeks, she comes face to face with Gideon again. Gideon has never stopped loving Mattie, having only left her to protect her from his scary leukemia diagnosis. Now that it is in remission and he sees Mattie again, he wants to rekindle their friendship, if not their romantic relationship. The struggle of steadiness versus passion is at hand: will Mattie return to Ohio and the reliable Sol, or choose to stay with the uncertainty and love in Apple Ridge? "The Dawn of Christmas" is the new release that finishes out this collection. Sadie is a young woman whose heart was broken by an unfaithful man but she's now found a purpose in life through mission work. During a visit home with her family, she saves the life of a man after a horseriding accident. Levi has seen enough marriages and relationships fall apart that he has vowed to never fall for a woman, but he begins rethinking things when Sadie enters the picture. In order to get both sets of parents to stop pressuring them in the relationship department, Sadie and Levi agree to pretend to date until Sadie's next planned mission trip. When the lines of pretense and reality begin to blur, choices about where their lives are going can either unite them or tear them apart. Three very satisfying stories! My favorite was the first one, and I would even go so far as to say it's my favorite of Woodsmall's stories to date. Click here if you'd like to check out the first chapter! Thanks to the publisher for my copy, which I received in exchange for this honest review. All opinions are my own. If you would take a moment to rate this review, it would be greatly appreciated! Just click here. Thanks! The cover and title of this book caught my attention right away. Two things everyone loves: sticking their feet in the ocean, and knowing we're where we are supposed to be. Both are amazing feelings! I was so happy when this book lived up the expectations built on such a great first impression. This is Natalia's story. She is seventeen when her life is rocked again with her father's announcement that he is divorcing wife #3 in favor of yet another younger woman. Her current stepmother, Maureen, has brought so much good into Natalia's life, including introducing her to Jesus Christ and His saving grace. When Maureen decides to leave their home in Spain and her return to her family in the United States, Natalia feels God prompting her to go along, leaving her native country for adventures that only He can see. Her father agrees, knowing it will be helpful for Natalia to get into a good American college if she graduates from an American highschool. Everything about her life changes in Florida. There's the new culture to deal with. A new school and new friends. Maureen is very depressed to be returning with her life in shambles, and Natalia does her best to be strong for her while learning and adjusting to all these changes. While hoping to make friends, she's also made a promise to herself: she's not going to get involved in a romantic relationship. Ever. She's seen too much heartbreak from the constant turnover of her father's wives and girlfriends. Her promise is challenged by two young men: Brian, the tall and pale pastor's son, and Spencer, the most popular guy at her school. One's servant heart and humor make an impression she can't shake, while the other pursues her with persistence and charm. Natalia also makes some really great female friends, and I know just enough about this author's other books to know some of them have stories of their own. Those books are now on my wishlist so I can learn more about these kids! One thing that I loved about this book was that it featured a Christian school. As a Christian school teacher who had never seen one portrayed in fiction, that was fun and thrilling for me. Then I read that the author is also a teacher at a Christian school herself, which cemented my feeling that she's a kindred spirit. I loved checking out her blog, too. Another thing I loved was that all the emotions were incredibly realistic. Whether it was Maureen's depression, Natalia's uncertainty, Brian's self esteem issues, or the thrill of ministry, I felt it was very relatable and real. The issues were current and ones that resonated. What do you do when you feel your calling from the Lord goes against the wishes of your parents? How do you even know what God's will is for your life? Excellent subject matter wrapped up enjoyably in young adult format. I don't read a lot of young adult fiction, but Thomas Nelson is publishing some great stuff these days that you won't want to miss! This book releases on December 11 and would make an excellent Christmas gift. I received my copy from the publisher in exchange for this honest review. All opinions are my own. Cara Hamilton has arrived in America looking for her brother. The year is 1897 and this young Irish immigrant knows nothing of her brother's location or what drove him to cross the ocean two years before. She only has his letter, warning her of dire danger if she tells anyone that she is his relative. He'll find her, he insists. Now alone in New York City waitng for him, Cara forms new friends, some who are sincere and some who are befriending her for more sinister reasons. I had several problems with this book. I had a very hard time getting into the author's narrative voice, as I kept getting distracted by thinking of how I would have changed sentence structure or word choice had this been a paper or report from one of my students. It just didn't flow well in my mind's eye. The use of similes was also overemployed, in my opinion. I didn't need to know how this or that was "like a wave on the sea," "like a wraith," or "like a sheet." My imagination doesn't need that much guidance. This is the first book that I have read by this author and I understand she has won awards and is an accomplished speaker, so I don't know why it seemed to me like she was trying too hard. It seemed beyond incredible that Cara should meet, within hours of disembarking on Ellis Island, not one but two separate people who were trying to hunt down and kill her brother. That is awfully convenient. It bothered me morally that Cara spent so much time lying about who she was and why she was in America. I understand she was supposed to keep her brother a secret, but secrets and lies were quite emphasized all throughout the book. I saw another reviewer state she found all the secrets to be romantic, which I do not agree with at all. Keeping secrets from your friends is not a bonding force, and is in fact a relationship killer. I don't like seeing it portrayed otherwise. The story did have an interesting and diverse cast of characters, some of whose stories were reserved for telling in subsequent novels in this series. The plot held a good amount of suspense to keep you turning pages. While the drawbacks kept me from being fully engaged, they didn't prevent me from enjoying the good parts of the story. 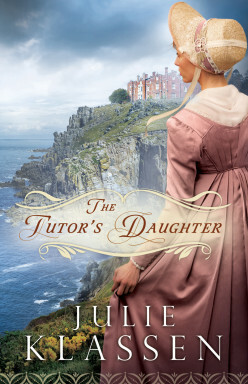 Fans of historical fiction might find something to keep their eye on with this one! I received my copy of the book from the publisher in exchange for this honest review. All opinions are my own. Having fallen in love with Siri Mitchell's historical fiction, I decided to try her 2005 release, which is set in contemporary France. Getting a different and earlier view of a favorite author can be interesting, so I dove in not knowing what to expect, and ready to assess this one on its own merit. Frederique Farmer is the owner of an ancient chateau who has discovered a set of fifteenth century journals on her property. The historical significance has made her home of some distinction, but Frederique is very interested in the privacy of her quiet life. She does occasionally book guests to come and experience her home, and, as she is a graduate of Le Cordon Blue, lavishes them with exquisite dishes. When she receives a request from an American author to stay at her chateau while researching and writing a book, Frederique unwillingly agrees. Cranwell has a reputation that proceeds him, and Frederique is skeptical that his recent conversion to Christianity can change years of party boy behavior. To her surprise, he makes a down to earth and interesting companion, and she agrees to let him stay longer than the month originally planned upon. 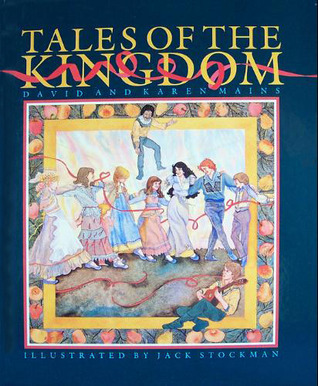 A bit of mystery is introduced about 80 pages into the story. Although I enjoyed this side of the novel, it did seem as though Freddie was a bit dense and not curious at all to unravel the strange happenings right from the beginning. There's truly only one person who could have been responsible for the strange happenings, so you can see the big reveal coming right from the start. This definitely could have been done better. At least it was only a side story and not the main attraction. I thought the spiritual side of the novel was extremely well done. Freddie lives her secluded life trying to hide from God, while Cranwell has come to her home to try to grow in Christ. There are a number of really good conversations and character revelations while exploring this topic. The romance is approached in a shy and hesitant way, as Cranwell doesn't want to get involved with someone who isn't sure about her faith, and Freddie is reluctant to trust someone with his past. At the same time, there's undeniable chemistry that must be reckoned with as they share an entire winter in each other's company. The story would have been better had it not included lengthy passages from the fifteenth century journal. Honestly, I started skimming those after a while. Mitchell is an excellent historical writer, clearly, but I personally didn't feel it added anything to the story. The relative information could have been worked into a handful of conversations, rather than taking up chapters and chapters. Other things that bothered me were detailed descriptions of every outfit worn and every dish cooked, as that seemed excessive and indulgent. In the end, I can say I enjoyed it. I'd definitely recommend other Mitchell titles first, but for those less inclined to enjoy historicals, check this one out and be swept away to the French countryside. You'll find some new friends! I love words. I love communicating. But it's true for me as much as it is for anyone: sometimes the right words can be difficult to find. The cover of the book touts that this is "Ideal for: Letters, Receiving Lines, Facebook, Emails, Thank-You Notes, Condolences... and Much More." I found it was a great way to get my brain thinking on how I can better my own communication with others. This slim volume covers its ten chapters with grace. Each one opens with some musings on why words are important to a particular occasion, whether it be a birthday, wedding, thank-you note, or sympathy card, and contains many examples of heart-felt expressions that can be used to spur your own pen to paper. There are also numerous quotes and Scripture passages which could be applicable for our own meditation, or for sharing alongside our own words. A lighthearted but useful segment called Aunt Me-me's Guide to What Not to Say gave readers encouragement not to make their communications all about themselves, and to avoid word choices that would be innapropriate and negative to the situation. An example from the book: "I heard about your promotion. Congratulations! Now that you're making more money, I expect you can start paying for lunch when we go out. You can write off all my good advice as 'consulting'!" You can see why cards from Aunt Me-me might be an unwelcome sight in your mailbox! At the time I read the chapter on thank-you notes, I was needing to write one myself. I sat down and made sure I did it while the advice was fresh in my mind, and my friend made a point to thank me for my note later, saying it would be "cherished". That's the kind of feedback every writer wants to hear, but it's never going to happen unless we do pick up our pen or begin that e-mail that's on our hearts. You can do it. If you need some help, I'd recommend "A Perfect Word for Every Occasion." I plan to keep my copy nearby for reference in assisting me in glorifying God and touching others with my written words. I received this book from Bethany House in exchange for this honest review. All opinions are my own. When I received a big box in the mail from Thomas Nelson Publishers, I was stumped. What could they possibly be sending in such a large package? I wondered if I had somehow won a book club bundle through a promotion and didn't even know it. When I arrived home, I opened the box and found not 10 books but one: "Share the Bounty: Finding God's Grace Through the Spirit of Hospitality." It is by far the largest book I've ever reviewed. It's approximately 9"x12.5" and weighs almost 3 lbs! But it is also easily the most visually stunning volume I've done in my reviewing stint. "Share the Bounty" is a feast for the eyes and spirit. The illustrations are luxurious and plenteous in number. Just check out the sneak peek on Amazon and see for yourself. The recipes tempt you to head to the kitchen immediately to see if you have ingredients for Orange Kiwi Salad or Chocolate Coffee Pie. There are a wide range of recipes; everything from fancy Sockeye Salmon Mousse, to light Chicken Tarts, to breakfast foods such as Ham Croissant Casserole, and kid-friendly food such as the 3-ingredient Strawberry Fruit Dip, which looks absolutely amazing. I will definitely be trying some of these out! And bless God for it. In my opinion, the quotes and the recipes make this book. There is not much original writing, and while I greatly enjoyed what was there, this is more of an idea book than an instructional book. More ethereal than practical. It would be an excellent gift for anyone who is passionate about homemaking and beauty. Not so much for someone who is not already naturally inclined to hospitality, as I imagine it could be overwhelming. At the end of the day, after all, hospitality is not about the perfectly-decorated home nor the exquisite three-course meal you spent the day preparing. It's about opening your heart and your personal space to share the love of Christ and your fellow men. It doesn't have to be formal or flawless. It just needs to be sincere, sharing our bounty in whatever measure God has given us. For truly He has blessed us well! I received this book from BookSneeze in exchange for this honest review. All opinions are my own. How do you review a book that left you so full, but yet so empty? This book could have been so much more than it was. Since it is published as Christian fiction, you'd expect to find at least something of Christ inside. But there was nothing. There were a few vague mentions of God, but some of them were taking His name in vain. This book, as well as Meissner's previous release, should not have been marketed as Christian fiction. She can write, that's for sure. But she's abusing her position by writing conclusions that are actually contrary to the Bible, and I'm ready to see her removed from Christian circles and into the general fiction market. I've observed in her past releases that Meissner likes to take three women from different generations or time periods and draw them together somehow. I had not thought she'd mastered that device until this book. Meg, Sofia, and Nora come alive and relate to each other so well. Meg, the heroine, is an editor at a travel guide publishing house. Her Italian grandmother told her so many stories of her hometown of Florence that Meg has always wanted to go, and her father has promised that he'd take her someday. Sofia is an author living in Florence whose work draws Meg in, and when Meg finally gets to see Florence and meet Sofia in person, there's an immediate connection between them. Nora Orsini is a Medici princess from the sixteenth century, who whispers her words of wisdom to Sofia through many of Florence's famous works of art. Nora's story is included in short mini-chapters throughout the book. The plot is deeply layered and complex, yet not hard to follow. Each character is well-drawn. I felt the emotions were beautifully expressed, whether disappointment, unexpected joy, uncertainty, etc. Like I said, Susan Meissner can write and this is the best of her work that I have seen. On the merit of the story alone, I'd recommend this to anyone. But when it comes to the resolution, Meissner stumbles terribly. If her point was merely that we're not just the products of our parents and circumstances, I could get behind that, because I agree fully. But her point is pretty much that life is what we imagine it can be. That while we do have to face some realities, it's occasionally okay and even a good thing to live in our fantasies. This is not normal or acceptable behavior. Yes, our imaginations are precious gifts from God. But we cannot define our lives. Our lives should be defined by what God says. When we need comfort, we should seek Him. When we need guidance, we should seek Him. When we need love, we should seek Him. Making up realities is not an adult way to behave, and not a Christ-like thing to promote. I can use my imagination and think about how wonderful this book could have been, had Christ been included. Meg's journey could have taken her closer to Him, where she could have found the love and relationship and comfort she was longing for. She could have realized how He had brought her through and helped her with her past hurts and hard times, and that He had a plan for her future that was only just beginning to unfold. The beauty that she saw in Florence could have correlated to the beauty God was revealing of Himself in her life. But that's not reality. The reality is that Meg was left spiritually unchanged and believing that imagination can define our lives. What a disappointment. You can read more about Susan Meissner and her releases at this link. I received an advanced reading copy of this book from the publisher in exchange for this honest review. All opinions are my own. "We Clarkes -- we're made for The River." Gabriel heard that often as a young boy, living with his father in Colorado. This is Gabriel's story, and you are likely to find part of your own story within these pages. Life is full of heartaches and pain, and joys and triumphs, too. But real life is lived near The River, with other people who love The River, and our life's greatest adventure should be continually learning about The River each and every day. Gabriel's father died in a tragic accident, and he went to live with his mother in Kansas. Scarred by witnessing his father's death and his own feelings of abandonment, Gabriel often felt like an outsider growing up. The summer of his 20th year he was invited to go on a camping trip back to The River, and he never realized how that encounter would change the course of his life. Certainly The River is a metaphor for our loving God and His unpredictable but yet faithful nature. Gabriel comes face to face with The River and is drawn in ways he can't understand at first. As he begins to let go of fear and get into The River, he finds that it's a journey he never wants to end. There are other ways we can see allegories in the people and events of the story, and it is fun to figure them out as you read. Some of my favorite parts of the book were Gabriel's relationships with Miss Collingsworth and Tabitha, when Gabriel runs The River at night, and the end of the epilogue. That part made me tear up and hear a longing in my own heart. That's the mark of a good writer and a great story. The publishers did a great job on the physical aspects of the book. The cover and pages are textured like an old journal and it adds much to the appeal and enjoyment of the novel. It promises something deeper and out of the ordinary, and Michael Neale and Thomas Nelson definitely deliver! 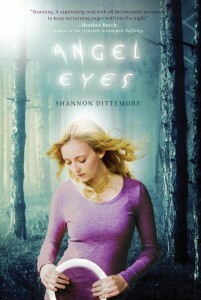 Shannon Dittemore is a fresh voice in Christian fiction, and she made quite an impression on me with this debut novel! 18-year-old Brielle Matthews returns to her home town of Stratus, OR, after spending the last two years at a boarding school in the big city. She is back earlier than expected, shaken and distraught over the murder of her best friend. She's sure it's somehow her fault. If only she had paid more attention to the warning signs. If only she'd said something, done something. Frozen with fear and grief, Brielle tries to assume some kind of normal life to help her get through. Her father is loving but isn't exactly sure how to reach out to her. Her friends are alright, but she's changed so much since leaving. School is something to do. And then there's Jake, the new kid in town, who seems to be everywhere she goes. Is he trustworthy, or some kind of stalker? One thing we know for sure: life is not always what it seems. There's a heavenly battle taking place over this earth and the people who live there. I have always enjoyed stories where angels are some of the main characters, and this was no exception. It brought back memories of Frank Peretti's "This Present Darkness," and parts of it also reminded me a little of Sharon Hinck's "Sword of Lyric" series, both of which I highly recommend. There are angels and demons at work whom we cannot see... but what would it look like if we had a glimpse into their world? Dittemore gives us a truly captivating view. This book holds suspense, romance, a range of emotions, and makes this a page-turner that I know I won't forget. Although this book was written for a young adult audience, it is 300+ pages which I wouldn't hesitate to promote for all readers. It never felt like a YA book to me, probably because of the depth of Brielle's struggles. Another thing that was of great interest to me, as an avid reader and also a teacher, was that Dittemore employed the first person present tense for most of the novel. Where a normal sentence might read "Brielle stood and walked across the room," in "Angel Eyes" we read, "I stand and walk across the room." I don't know how she did it so well, but it definitely works. You feel like you're right there. I cannot wait for the sequel, "Broken Wings," to come out next year. As much as I enjoyed "Angel Eyes," I did feel there was room to expand the story to include more about the role of prayer and the importance of Jesus Christ, and I have a feeling she'll get to those as this trilogy unfolds. I hope she does! She's certainly an author I will be keeping my eye on. I started reading this book without realizing it was a kinda-sorta sequel to two other books I'd previously enjoyed, "Faithful" and "Cherished". While "Hope Springs" has only been marketed as a stand alone title, I thought there were enough characters spilling over that it would have been more helpful to bill it as part of that series. And there are certainly enough characters to go around! Every now and then I'll read a trilogy and think, "You know, with tighter editing this could have been a really good single novel rather than a story spread rather boringly over three books." I had the exact opposite reaction to "Hope Springs". With a little more writing and character development, this could have easily been a trilogy! There's Stephanie and her spiritual service boot camp. There's Janelle and her kids; Grandma Geri; Kory and his daughter. There's Libby, Travis, Todd, Becca. There's Sara Ann and the diner. There's New Jerusalem and Calvary. There is family history to be explored; secrets to reveal; whole communities to consider. Yes, indeed. There were so many characters that even half-way through the book I was still trying to keep everyone straight. Another issue was that the color of skin was part of the story, but I didn't realize that until quite a ways into the novel. I had forgotten whose skin was black and whose was white because it didn't make one bit of difference to me as a reader. Obviously it was important in the context of the story, though. I realize this is a storyline that quite a few people can relate to, but it didn't resonate within me. At the same time, the further I got into the story, the more I enjoyed it. There a lot of really good themes that come out. By the time I turned the last page, I was mentally begging the author to write a follow-up book because these stories are not yet finished. There's more to explore with all these people... which is maybe why they should have gotten their own books! So I came out in the middle with this one. It took me a long time to get into it, and I felt it was muddled, but the last third of the book was great. I would recommend you check out Kim Cash Tate's other novels before reading this one. If you enjoyed those, as I did, you'll probably like this one, too. I will be watching to see what she comes out with next! Making a difference in the world is something I am passionate about, and it is clear that Austin Gutwein feels the same way! 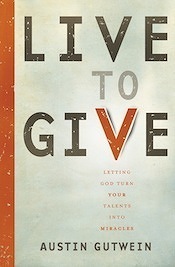 Austin has brought us a book that I heartily enjoyed and can recommend: "Live to Give: Letting God Turn Your Talents Into Miracles." This is a book for everyone! Austin has a very practical, realistic, and Scriptural view of how God has blessed each one of us with unique talents and abilities, and how He desires that we would use them to impact the world. With an in-depth look at the boy who let Jesus turn his lunch into a meal for 5,000 people, we are encouraged to do the same with our own gifts. Austin definitely has the gift of exhortation and the abilitty to inspire confidence in others. The stories of what he has done with his 18 years of life are so inspirational! He knows what he is talking about and he is living it out. That's the best kind of message-bearer one can be! I thought he did a great job speaking realistically on the challenges we can face when we choose to give of ourselves, and presented practical ways to overcome these obstacles. Giving of your time, talents, and abilities is an amazing thing. As Austin points out, not only do we change the world but we change ourselves. We grow by using our gifts. I know this has been true over and over again in my life, and I hope that many others will step out and start to see this at work in their lives, too! As someone who works in youth and children's ministries, I found the words that Austin directed to parents, teachers, and adults to be right on target. We do need to be encouraging the younger generation and empowering them to be able to live confidently in the unique abilities God has given them. May we show them how glorious it is to live to give, and may we put resources like this book in their hands to help them decide to go in faith and see it happen. I received my copy of this book from LitFuse in exchange for this honest review. Click here to see an interview that Austin did with FoxNews, and check out the giveaway below! I really wanted to like this book. I was drawn to it because it looked like a fun western, and because I'm a sucker for marriage of convenience or mistakenly-needed shotgun marriage storylines, as you know in fiction they will always turn out well! But as much as I wanted to, this book put me off early and gave me no reason to invest my time or emotions in it. The book opened with the young heroine, Meredith, acting on a schoolmate's dare to go onto the property of the reclusive Archer brothers. The Archers, though youngsters themselves, are orphans who are fiercely protective of their land and each other. In fact, they never leave their property! Meredith has an accident and is helped by Travis, the oldest Archer brother. Fast-forward twelve years, and we find out that Meredith has had a crush on Travis ever since then, though their paths have never again crossed. When she overhears a plot to take over the Archer ranch, she races to warn her childhood hero, but meets with another accident which leaves her stranded in their home for several days, necessitating a marriage to save her honor. The four brothers draw straws to see who will marry her, and of course Travis wins. My first beef with the book was that Meredith behaved in an extremely modern fashion. Her thoughts and the actions she took were way past strong-willed and independent and not realistic at all. I like strong women, but when you are that set on your own way, you become foolish, heedless, and a liability rather than what a strong woman should be: an asset in every situation. I found the actions of the Archer brothers to be unrealistic. If Travis really was the recognized leader, as he was presented, it isn't logical that they would "fight" over who would marry Meredith. And while I have no problems that he had protective feelings towards Meredith, I cringed every time the word 'possessive' was used in how he looked or acted. Women are not possessions, and men who view them that way are not the kind you want to be around. I understand that the author wanted to transform Travis from needing to control every situation to being free in Christ, but this behavior is one that should be seen as a warning sign, one that no woman should ignore. Another problem was that the plot was immensely predictable all the way through. Even little twists in the plot were visible pages in advance, while the bigger turns were telegraphed from early in the story. It gives me no pleasure to ever write a negative review, because I love reading and supporting authors for the art they bring to us, but this one left me with no favorable impressions toward any of the main characters. I did think the author did a good job with having the characters learn spiritual lessons, and showed how they turned to the Bible in helping them make some decisions, which was the best example in the book. I received a copy of this book in exchange for this honest review. All opinions are my own.